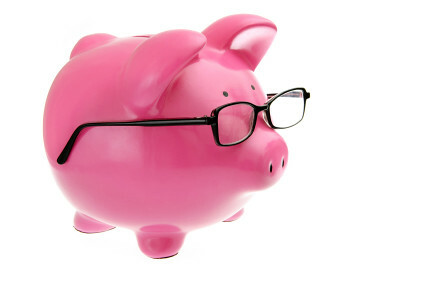 ConsumerMiser.com » Blog Archive » Want to Save Money? First Create a Budget. One of the first things that you must do in order to save money and spend less is identify exactly where your money is going, how much you are bringing in, and how much positive cash flow you have, if any. After you have identified this essential information, then you can better understand your situation and analyze where you can possibly spend less and save more. Below is a list of key elements of a detailed personal budget. If you are already balancing your budget, filling out the categories below should be relatively easy. If you have not been paying much attention to your budget, then it will take a little more work. In order to recreate your financial picture which will be the basis of your budget, you should start tracking your spending for a month, or even better, you could look through your bills and spending records for the information you will need. By recreating your financial picture, you will prove to yourself that you can put your hands on important financial information when you need it which is essential to keeping your financial house in order. Gather your past credit card bills, mortgage statements and other bills. If you use an on-line bill pay service, use it to help figure what bills you are paying and how much. Pull out your old pay stub or go online and locate a copy. Your spouse, partner or significant other should do the same. 1. INCOME: All gross income, child support or alimony, social security income, disability income, pension income, investment income, real estate investment income, other income. Make sure you put this into a monthly number. Housing: Mortgage or rent, condo/association fees if applicable, property taxes if applicable. Utilities: Gas, electric, water/sewer, heat, trash, recycling. Insurance: Insurance for homeowner’s/renter’s, car, health, dental, disability, life, long term care, other. Clothing (Necessary): Work clothes, casual clothes, underwear & socks, pajamas. Credit Cards: Credit card monthly payments. Food (Necessary): Groceries, vitamins, other. Loans: School, personal loans, home equity (excludes auto loans). Medical: Dental bills, prescriptions, over the counter medicine, glasses or contact lenses, eye exams, insurance co-pays, medical bill paid/unreimbursed expenses, other. Excludes elective surgeries which costs go into the discretionary category. Savings: 401K, IRA, college fund, mutual fund, money market account, other. Taxes: Federal, state, local, other. Housing: Renovations, repairs, furniture, decorating, appliances, bedding, cleaning service, exterminator, lawn service, pool service, snow removal, rug cleaning. Utilities: Telephone, phone, cable/satellite dish, Internet, security system, other. Food: Restaurant, coffee, snacks, other. Automobile: Car loan, car lease, gas, repairs, maintenance, car wash.
Transportation: Parking, tolls, bus, train, taxi, plane, maintenance. Clothing (Above what is necessary): Work clothes, casual clothes, sports clothes, shoes, jewelry, watches, accessories, underwear and socks, pajamas, dry cleaning, tailoring. Children: Toys/games, birthday parties, allowances, diapers, formula, childcare/babysitter/daycare, camp, lessons (tutoring, dance, music, tennis, soccer, swim, etc. ), equipment for activities, computer, video games, class trips, other. Pets: Food, grooming, veterinarian, toys/supplies, boarding, walking service, vitamins, dental, medical. Entertainment: Movies, concerts, plays, sporting events, videos/DVDs, music CDs, downloads, books, magazine and news paper subscriptions, and computer software. Medical (Above what is necessary): Includes elective surgeries. Travel: Vacations, plane, train tickets, gym memberships, club memberships, hobbies, gambling/lottery. Personal Care: Barber/hair stylist, hair care products, personal care products, manicure/pedicure, cosmetics, massage/spa. Professional fees: Lawyer, tax prep, financial planner/accountant, personal advisor/coach, bank fees, credit card fees, brokerage commissions. Gift Time: Birthdays, wedding, anniversaries, showers, holidays, decorations, greeting cards, wrapping paper. Once you fill out the above information you will know your income and your expenses. Subtract your expenses from your income. If your income exceeds your expenses, congratulations, you have positive cash flow and you can save at least a portion of this money and are in a good position to reduce debt (if any) and build wealth. If your expenses exceed your income, you need to cut your expenses. Don’t know how to cut expenses? I will cover several methods in future blog posts. This entry was posted on Sunday, March 28th, 2010 at 9:22 pm	and is filed under Budget, Debt, Personal Finance, Saving Money. You can follow any responses to this entry through the RSS 2.0 feed. You can leave a response, or trackback from your own site. I am glad you enjoyed this post on budgeting. Please share with your friends and look for other helpful articles. Wow,great content and your blog design is just gorgeous. Is this template free or not. If so, would you please share this template? if not, Where can i purchase it? Thanks a bunch! Excellence was designed and built by Jai Nischal Verma I love to hear of my work being used :). This work is licensed under a Creative Commons Attribution 3.0 License. This means you may use it for any purpose, and make any changes you like. Just leave my link under your footer. Also, my brother, Carlos Alston, helped me modify and customize the template. Click here for more info on him.